What’s a mile long, sounds like Christmas and runs on about 10,000 batteries? What’s a mile long, sounds like Christmas and runs on about 10,000 batteries? Unsilent Night, a yuletide symphonic processional that was born in NYC but now spans the globe. The city’s 19th annual iteration takes place this Saturday. 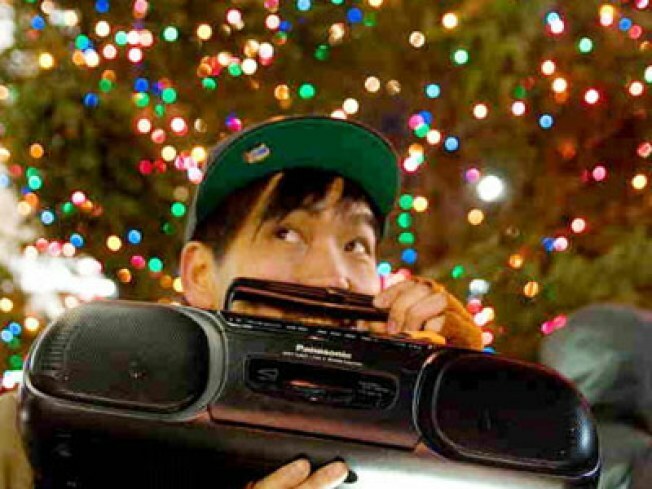 Unsilent Night is pretty much the original flash mob: Hundreds of participants will parade from Washington Square Park to Tompkins Square Park in just under an hour, each bearing a boombox or some other amplified music player, out of which will pour postmodern twists on music of the season from minimalist composer and Unsilent Night founder Phil Kline. This is not your standard holiday twaddle: It’s holiday music shot through a Steve Reichian filter with a dash of Laurie Anderson. Kline started the event here in 1992, and it’s now just one of 25 international cities to host the po-mo parade. But NYC’s remains the mack daddy—and it’s one of those New York holiday happenings you have to experience once in your life. The 19th Annual Unsilent Night Walk, Saturday, December 18, 7PM. Meet under the arch in Washington Square Park up to 15 minutes earlier to take your place. Download music here.